This is a perfect accessory for any cartoon fan or hard rock fan. This embroidered patch has an iron on adhesive or you can tack it onto a jacket, bag, or any other garment. The patch measures 3"W X 2 1/2" H. The colors used in the patch are black, white, and red. Once ordered the patch will ship 2-5 business days. First class USPS shipping within the USA. Love it. 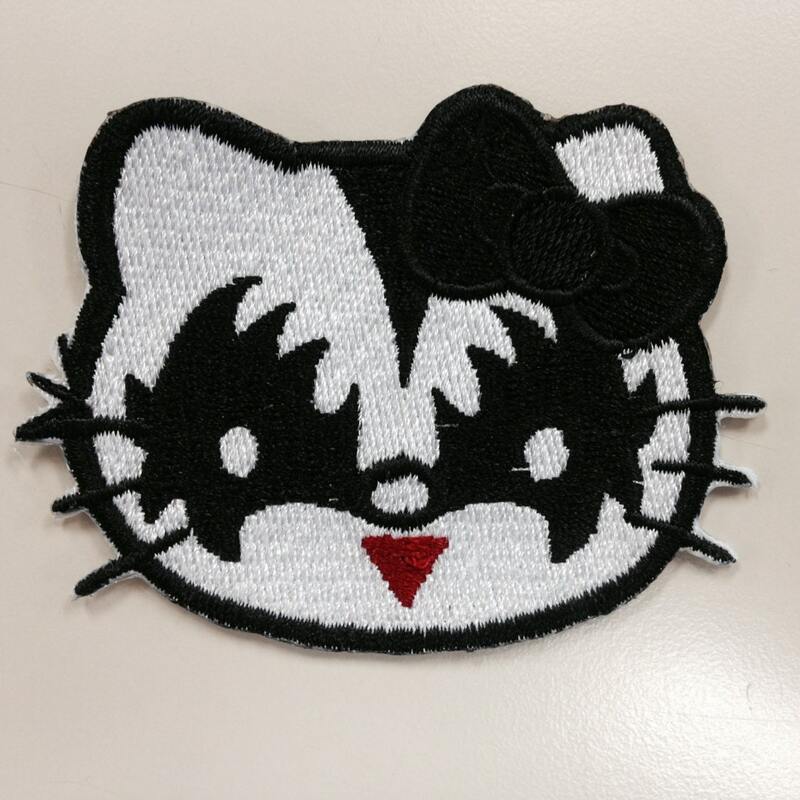 What could be better than Hello Kitty and Kiss.